Release your adrenaline driving our stylish jet skis at your own pace. Come alone or with your friends to enjoy one of the best moments of your Wanaka visit. 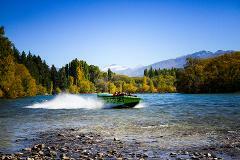 Enjoy a jet ski tour showcasing the beauty Lake Wanaka has to offer. Relax in style aboard our luxury launch on the beautiful clear waters of Lake Wanaka. Club Malibu offers the ultimate in comfort and exclusive charters on Lake Wanaka with the option to create your own customized tour itinerary. Come enjoy a ride behind the world's leading water sports boat. Wake board, wake surf, water ski, knee board or biscuit/tube for some guaranteed fun out on the water. With something to suit any age and any thrill level. 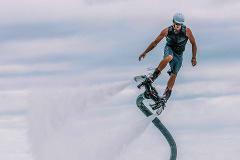 Fly Boarding is an extreme water sport, one of the newest and coolest out there providing a chance to experience flight!